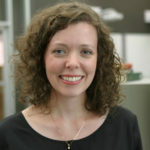 Yanna Yannakakis is Associate Professor and Director of Graduate Studies in the History Department at Emory University. 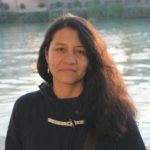 She is the author of The Art of Being In-Between: Native Intermediaries, Indian Identity, and Local Rule in Colonial Oaxaca (Duke University Press, 2008) and co-editor with Gabriela Ramos ofIndigenous Intellectuals: Knowledge, Power, and Colonial Culture in Colonial Mexico and the Andes (Duke University Press, 2014). Her current book project “Mexico’s Babel: Local Justice in Oaxaca from Colony to Republic” is a deep regional study that focuses on the interaction of native and Spanish jurisdictions and the cross-cultural development of ideas about law and justice. 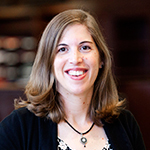 Jennifer Doty provides data management services to Emory University researchers as the Research Data Librarian in the Robert W. Woodruff Library. 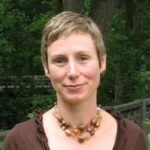 She has twelve years of experience supporting data-intensive research at higher education institutions in the US and the UK, including several projects in the humanities and social sciences. 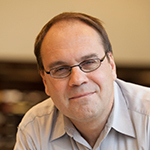 Phil MacLeod joined Emory’s Robert W. Woodruff Library in 2008 as Bibliographer for Latin American & Caribbean Studies, Spanish and Portuguese. 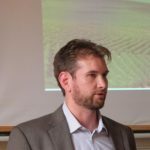 He holds a BA in Political Science from the University of Iowa, an MA and PhD from Tulane University (both in Latin American Studies) and an MLIS. 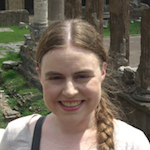 Joanna Mundy is a PhD candidate in Roman art history and archaeology. As a Digital Scholarship Specialist, she assists researchers with projects using mySQL databases, contributes to the design of databases to interact with geospatial data and network data as well as to work with network analysis software. Michael Pages teaches courses in urban geography, geomorphology, cartography, geographic information systems (GIS), and remote sensing in Emory’s Department of Environmental Sciences. At Emory’s Center for Digital Scholarship, he manages map and data libraries, GIS infrastructure, and consults on research projects that have a geospatial technology/spatial data component. 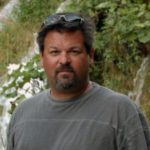 His primary research focus involves cartography, geospatial technologies, and urban geography, and his key projects include Atlanta Explorer, Georgia Coastal Atlas and the American Expedition at Samothrace, Greece. He is the co-author of Sacred Places: A Guide to the Civil Rights Movement in Atlanta, Georgia and his maps have been published in many print and digital journals and books. As the GIS Librarian in the Emory Center for Digital Scholarship, Megan works with faculty and students who want to incorporate geospatial technologies into their research and teaching. 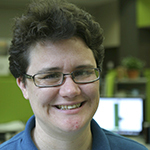 She offers consultations on using geospatial tools, finding and using data, and designing projects with spatial components. She also teaches workshops, provides classroom instruction, works to develop and provide access to the libraries’ data collections, and contributes to digital projects. Erin Hecht designs scholarly websites as a consultant to the Emory Center for Digital Scholarship. She designed the test site for Power of Attorney during the spring of 2017, and she will continue to assist with the Power of Attorney web design. Julius Kniffki spent the first two years of his life in the Zapotec village of San Juan Yaée, Villa Alta, and lived in Oaxaca City from ages 6-11, when his family returned to Berlin, their place of origin. 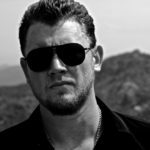 He studied Audio Visual Media at Beuth University of Applied Sciences and Art in Berlin, and currently works in the film industry as a grip on film sets. He is also a photographer. In 2015, he spent 3 months in San Juan Yaée working on a photo essay about the migration of indigenous people from the Sierra Norte to Oaxaca City, Mexico City, and Ciudad Juárez, with a focus on continuity and change in religious and cultural practices. Jon Coulis is a PhD Candidate in Latin American History at Emory whose research focuses on the Brazilian military government’s efforts to modernize the national coffee sector in the midst of an “economic miracle.” He incorporates digital mapping to visualize agricultural modernization as a gradual process, including the shifting geography of cultivation and the spatial organization of farms. Jon helped to design the Excel sheet and enter data for the Power of Attorney project. Selene García is completing her dissertation “El origen y el culto a la imagen de la Virgen de la Soledad y sus promotores en Oaxaca, 1682- 1728,” which focuses on how popular religious devotion and élite political projects interacted to create cultural icons, local identities, and an indissoluble bond between Church and society in mid-colonial Mexico. Selene helped identify and photograph letters of attorney in Oaxaca’s archives. 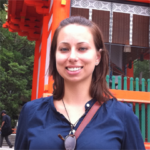 Angie Picone is a PhD Candidate in Latin American History at Emory whose research focuses on nation-building in border regions in Argentina and Chile through discourses about space, nature, and belonging. Angie transcribed and analyzed letters of attorney for the Power of Attorney project. 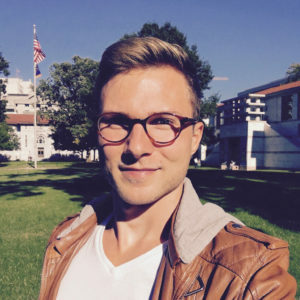 Alexander Cors is writing his dissertation on the history of Spanish Louisiana in the eighteenth century, focusing on the colony’s multi-ethnic population, immigration policies, and discourses on foreigners. Using GIS, he is developing a map depicting ethnic settlement patterns in the Mississippi Valley. Alexander helped identifying and locating settlements in the district of Teposcolula.